Salt is a white, pink or grey crystalline mineral which a small amount of it is necessary for human and it is harmful in large amounts, salt is a compound of two elements sodium and chloride and each of them has an important role for human’s health. Salt is available in the seas in its natural form. Salt has been used as a food preserver generally and as a meat preserver especially thousands of years ago as there were salted birds and fish in the tombs of Ancient Egyptians. Scientists have discovered that the people of Cucuteni has been boiling the salted water from a spring in order to get salt in the year 6050 B.C., in Romania. The Chinese as well have been gathering salt from the surface of a lake in the year 6000 B.C.. The Egyptians were bartering the salted fish with some products from the Phoenicians in the year 2800 B.C.. In the year 800 B.C. the Ancient Greece and Ancient Romans were trading salt for wine. Salt has been used as a currency, the Latin word salarium (means salary) meant the money paid to soldiers, it was in the form of salt. Mahatma Gandhi the famous Indian leader, was able to protest on the English colonizer through extracting salt directly from the sea, which was against the English rules.The salt March was one of the causes of the Indian independence. The unrefined salts that are extracted directly from seas are used in cosmetics and bath salts. 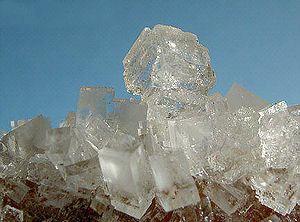 The refining of salt (table salt) is purifying, improving of sea salt, and recrystallize the salt. The manufacture of table salt also involve adding iodine, iron and fluoride which are available in the unrefined salt but not in the required amounts for the human health.